Hey friends, winter is here and this is the period of the year when we take care for house place and choose the best decoration for Christmas time. 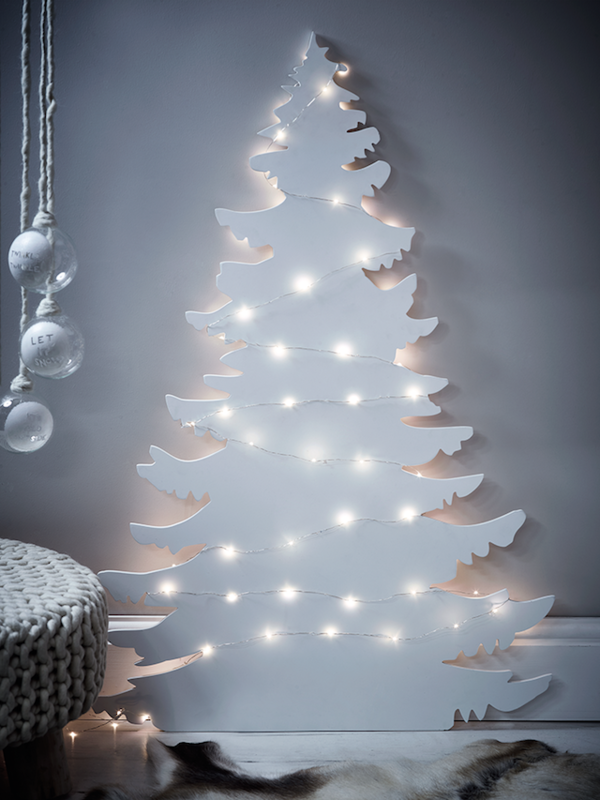 This post is about 10 glamorous and alternative Christmas tree ideas and your task is to take a look in the following images and to find ideas for your house place. You don’t have to be sad if you don’t have a Christmas tree at home, because you can do it if you are creative and you follow our ideas. Check this full post about alternative ways and solutions for making a Christmas tree, and not just decorating the old traditional tree that is boring. Also, check our last post about how to add golden elements in home place and to decorate this place in the best way. 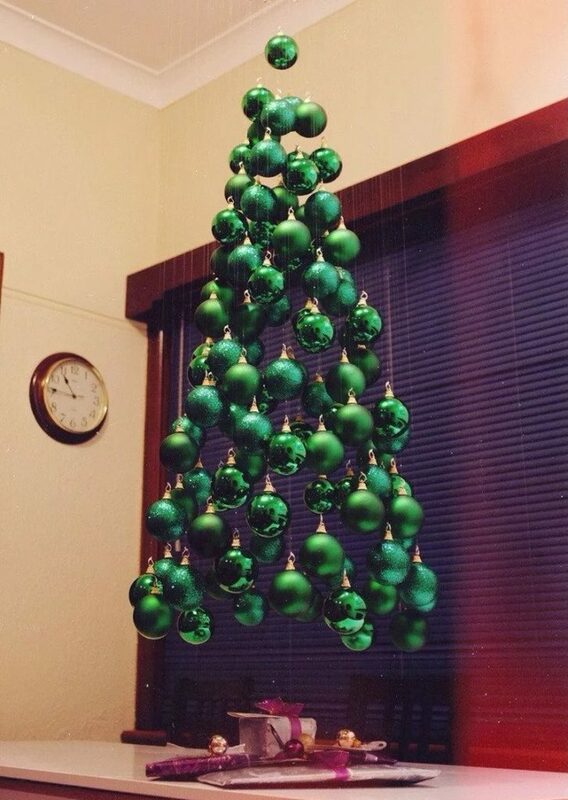 If you don’t have a traditional tree, it’s time to think about making a tree by yourself and this is a great idea. 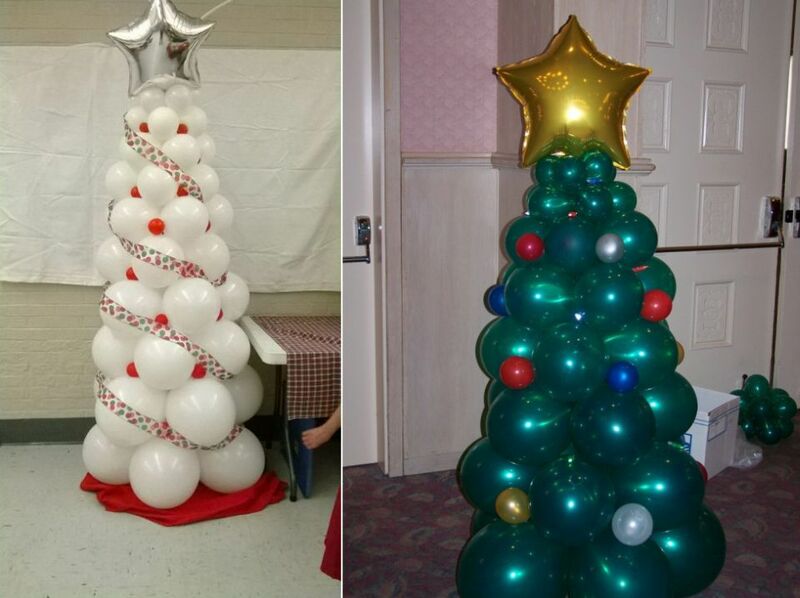 Use balloons and make the best tree that will beautify your house place. Another cool idea is to arrange the tree branches in the same way as the tree so you can enjoy in your amazing decor, made by yourself. 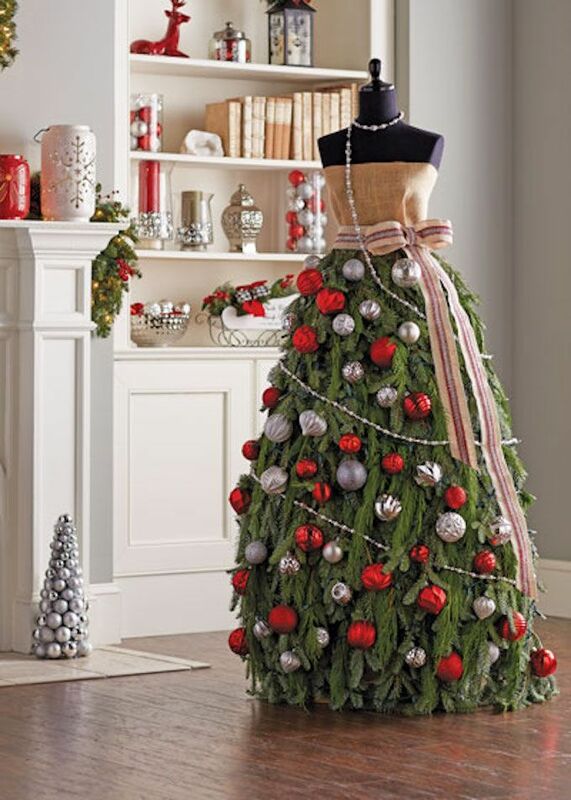 Also, you can make a dress and improvise with the Christmas tree as you can see in this photo, the design is so amazing. 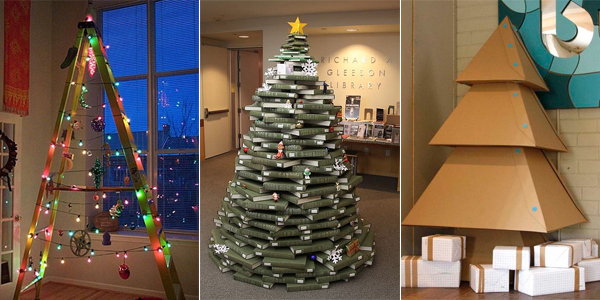 In other photos, you can see how to reuse the old ladder for doing the same thing, how to organize your books and to make lovely Christmas tree and the last photo of college tells you how to reuse the paper for making a lovely tree. And, in the photo after the photo collage, you will see hanging lampions that look amazing and you can hang it in your living room, on the window or at any door. 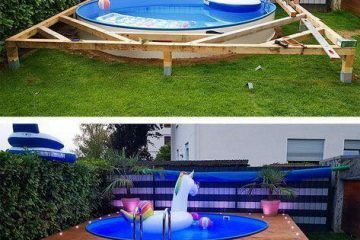 After these photos, there are other photos that you can see if you just SCROLL DOWN. Be a creative person and make the best decoration this year, because you deserve to live in a modern designed house. 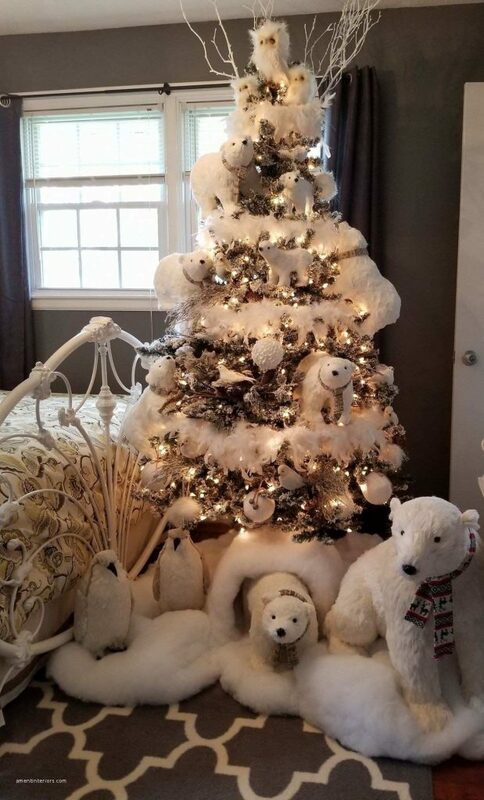 Make a white Christmas tree and give your home sensational touch, find inspiration in this photo. 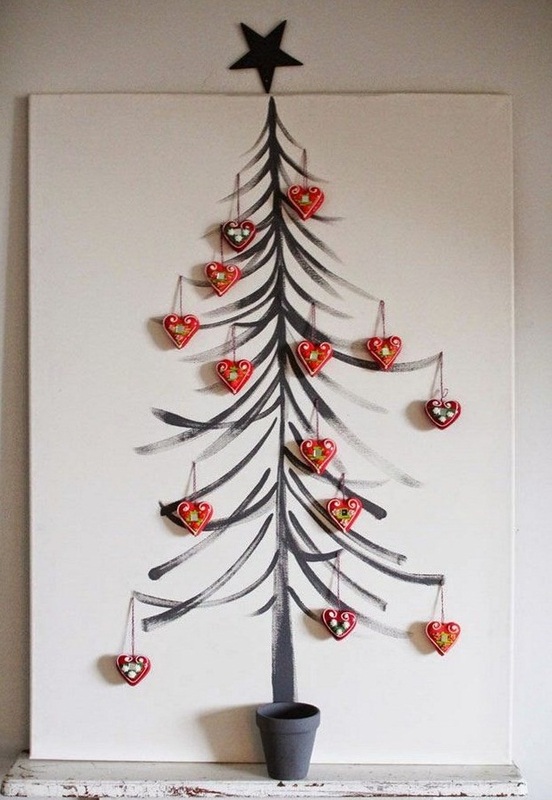 Be creative and paint your tree in the way to make lovely wall art. 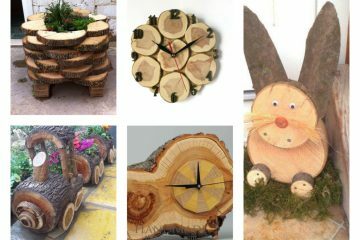 Take a look in this photo and find isnpiration, you can be your own home artist and to make professional art for the home. 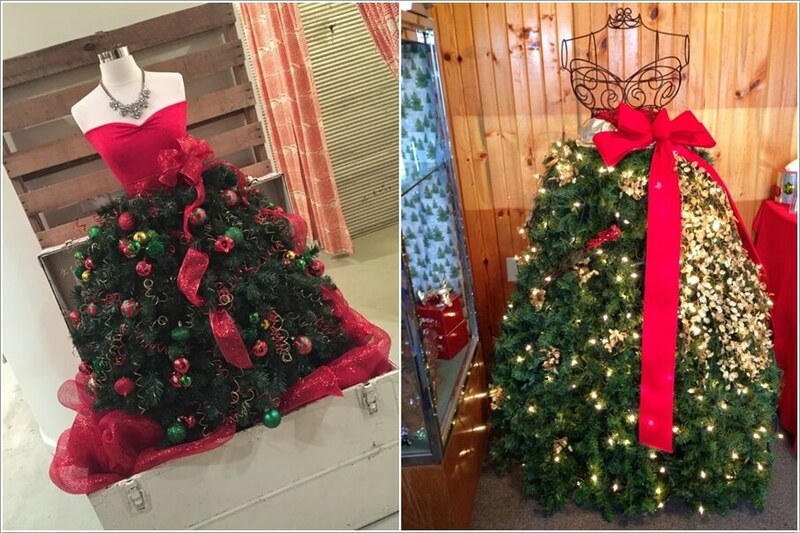 In the next two photos, you can also see another great craft, Christmass tree woman’s dress that can inspire you about how to spend your free time. This is all for today and this creative post, thanks for your attention and have a nice middle of the week, keep following our website for more ideas! 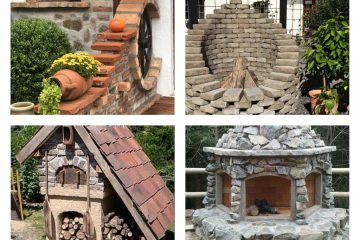 Decor Inspirator is a creative blog to inspire you to decorate and style the heart of your home with the latest design trends.